Starting new baby chicks is a very exciting time! Fluffy chicken babies are so cute and cuddly, and everybody loves them. But integrating these same babies into an existing flock takes care and attention to keep everyone safe. 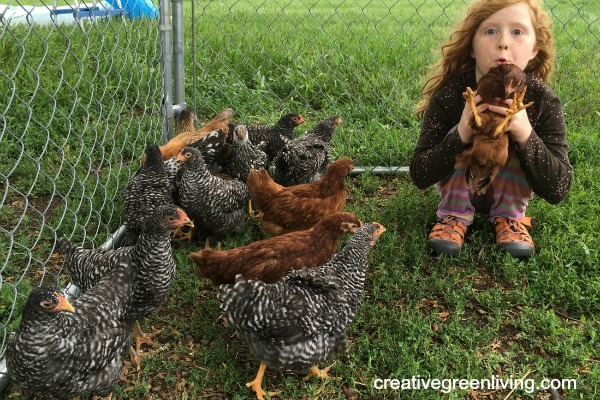 You probably know that chickens have a set hierarchy or pecking order, and adding new birds can throw that pecking order out of whack. Not only that, but chickens can be quite ruthless to smaller babies. I’ve had friends who have had entire batches of young chicks brutally murdered by their existing flocks. And nobody wants that to happen. 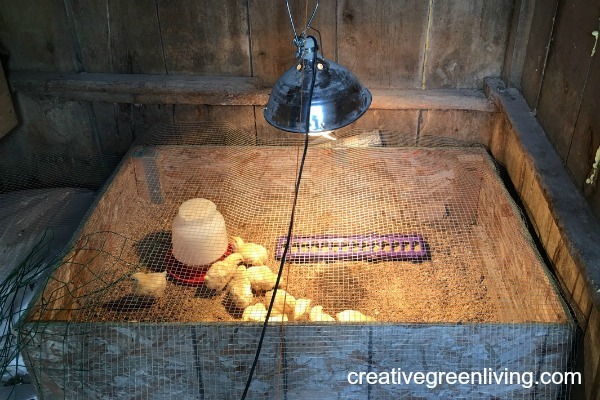 Fortunately, there are steps you can take to keep your baby chicks safe and help them integrate successfully into your existing flock. In an ideal world, baby chicks would not be integrated into an existing flock until they are the same size, around roughly six months of age. 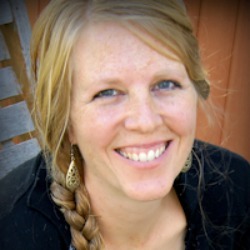 But we don’t live in an ideal world and I’ve never waited that long to integrate new chickens. 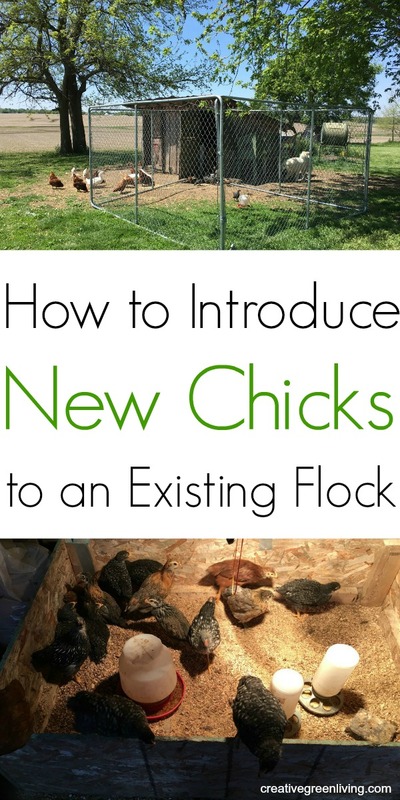 Instead, here’s how I have integrated my chicks to a new flock, starting when the babies are roughly six to eight weeks of age. 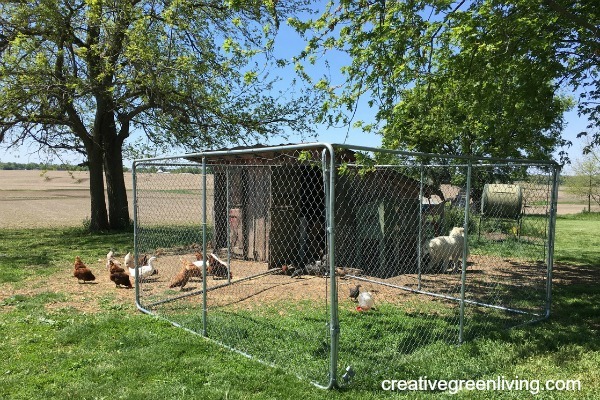 My chickens live in an old two stall hog shed which makes an initial segregation pretty easy, but if you don't have this type of set-up, simply use fencing or crates to somehow keep the two groups of birds completely segregated. My coop allows the existing flock to roost on one side of the shed and then free-range all day. The second side of coop stays closed until I have baby chicks to add to it. 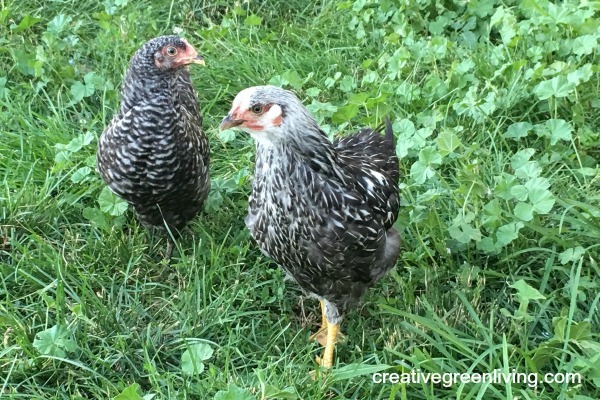 When I get new baby chickens, I put them in my basement for the first two weeks or so. It’s warmer in the house and it’s easier for me to watch them. After a couple weeks, I move them to a bigger brooder box in the second side of the hog shed, where they stay for another four to six weeks. The exact amount of time depends on on the weather. This two stall coop set-up is pretty convenient because the big chickens start to hear the new chickens through the walls and know they’re there. The existing flock is very curious, but I don't let them in the other side because I am afraid they will peck the babies viciously. The first few times I let the littles out with the bigs, I make sure to stay close. Putting food and water around in multiple locations is important so they have lots of options and don't have to compete for resources. 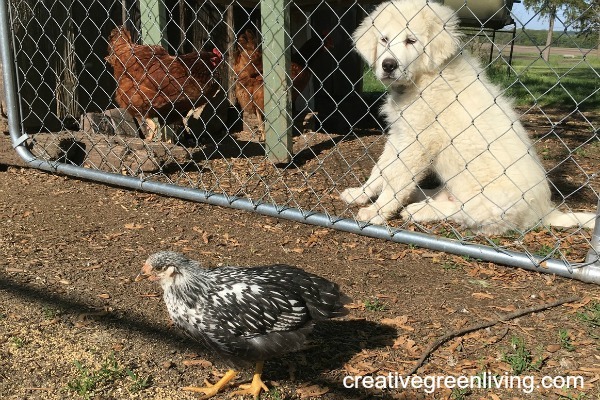 It's also helpful if there are hiding spots and places the little chickens can go to get away from the big chickens. If at any point it, the big chickens start to gang up on the little chickens too much, I close up the chicken yard and segregate them for a few more days. Then I start the introduction process over again. At this point, the young chickens are still sleeping on their own side of the chicken coop, but after they've had access to each other for a week or two and seem to be getting along, I shut the doors to the second stall of the chicken coop and the chickens start to roost together on one side of the coop. My chickens also like to roost in the trees around the coop in the summer. 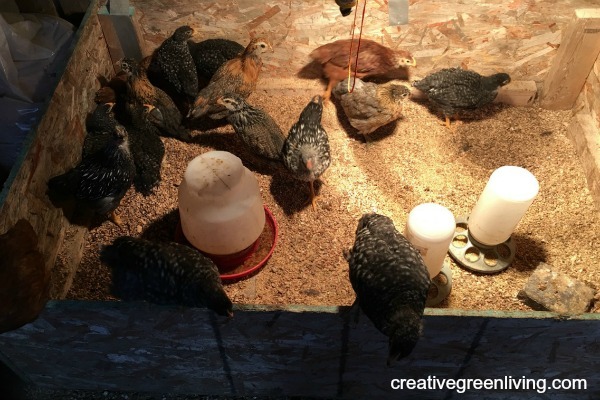 Successful integration of new chicks to an existing flock is not hard, just be sure to make it a slow and gradual process to keep everyone safe and happy.